Arolucha, Inc. is proud to announce that Rey Mysterio will star in Season 1 of Aro Lucha to be filmed later this year. Nashville, TN – April 3rd, 2018 – Arolucha, Inc. is proud to announce that Rey Mysterio will star in Season 1 of Aro Lucha to be filmed later this year. Rey has a non-exclusive deal with Aro Lucha and has been announced as a stockholder in the company and on the advisory board of Arolucha, Inc. Carlos “Konnan” Ashenoff, a long time mentor and friend to Rey Mysterio, will lead the writing team for Aro Lucha’s television project. Rey Mysterio is one of the most iconic professional wrestlers in the world, both to the mass general audience and to traditional lucha libre fans. He is most well known for holding multiple WWE championship titles, for being their 21st Triple Crown winner, and the winner of the 2006 Royal Rumble. He boasts over 13.5 Million Facebook Fans and is highly regarded as the best cruiserweight wrestler of all time. He is known for his highflying, lucha libre style of wrestling. Aro Lucha, Inc. launched its first round of a Reg Crowdfunding offering on March 15th, 2018 after an accepted filing with the SEC. Aro Lucha has already raised over $70,000 dollars in less than 3 weeks. “It’s a real validation that other investors, fans, and the public, are investing into Aro Lucha after seeing what we have to offer, how we are positioned, what we have accomplished in such a short period of time, and who we have involved. Rey, Konnan, and the rest of the team, you don’t just get people like that involved if they don’t see the vision in my opinion,” said Brown. Aro Lucha is a high energy, family-friendly Lucha Libre company based in the United States. They are also The First Fan Owned Lucha Libre Sports & Entertainment Company in the World. With over 2.5 Million Social Media Engagements and Impressions over the past 4 months & a 10X growth rate in their social media following during the same time period, Aro Lucha has positioned itself as a major distributor and content creator to its digital audience. Its principals have produced over 200 hours of network television and over 100 episodes of professional wrestling that has aired on network TV. 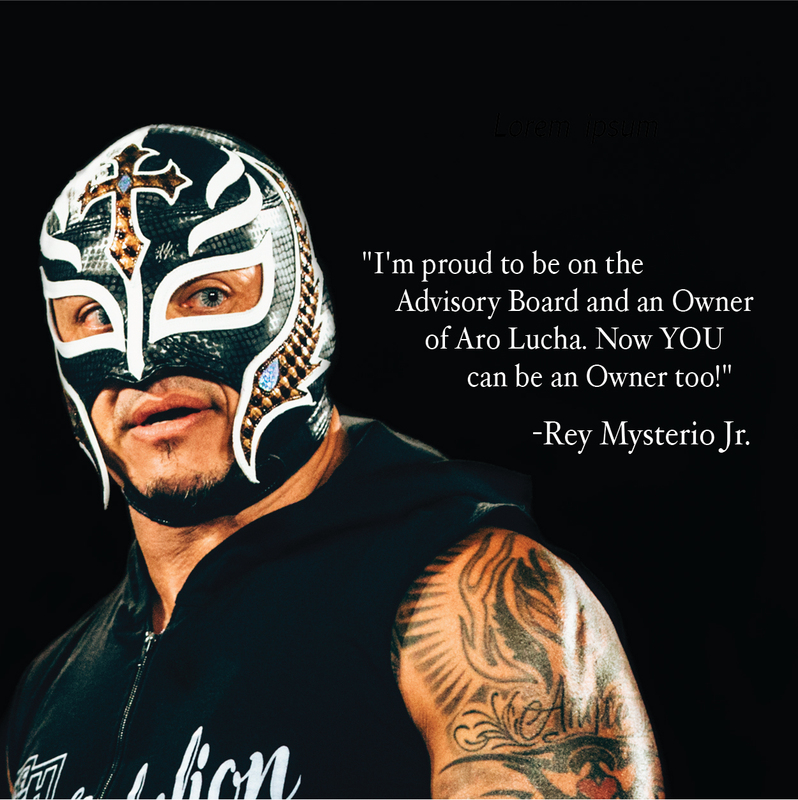 Be the first to comment on "Rey Mysterio – Owner and Star of Season 1 of Aro Lucha"